Bamboo3 is an Asian-based boutique agency that specializes in brand and marketing consultancy for medium-sized companies. To help these companies establish and grow their brands in Asia. Headquartered in Beijing, we are fully foreign-owned and have associates in Singapore and Hong Kong through which we serve South East and North Asia regions. Our clients are from education, consumer goods, hospitality and travel industries. Our team is multi-disciplinary; with members from advertising, design, digital marketing, event management and shopper marketing backgrounds. All have international agency experience working on Fortune 500 brands. We "think globally, act locally". We're small and lean to be cost-effective, nimble and adaptable to fast changing business environments. ﻿﻿Integrity﻿ -﻿ being "transparen﻿﻿t" and open in our business relatio﻿﻿nships. Collaboration - we believe in the power of teamwork as equal partners. Co-creation - working closely with our clients to develop good work together. Accountability - we're not here to win awards but to help our clients achieve their objectives. 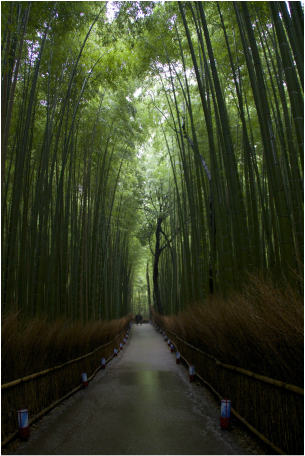 Bamboo is closely associated with Asia. It is prevalent, strong, resilient and flexible. Able to adapt to different environments. It was once commonly used throughout Asia as scaffolding material in the construction of high-rise buildings. It's ability to withstand typhoon winds without breaking is legendary. “3”, a cord of three vines is much stronger than one; which symbolizes our focus on collaborative partnerships. Thus, we can build strong and resilient brands together.